A big shout out from this week’s blog, where you find me in serious party mood. It’s that time of year when Christmas is starting to happen and the party invites are piling up on the mantelpiece. I love the party season because it’s the perfect chance to have all sorts of fun with your make-up. And Christmas parties mean double the glitz and glamour. The festive season is all about dazzle and sparkling colour – it’s the opportunity to try on all those glistening eyeshadows, luscious lippies and gleaming beauty adornments that, any other time, might look over the top. 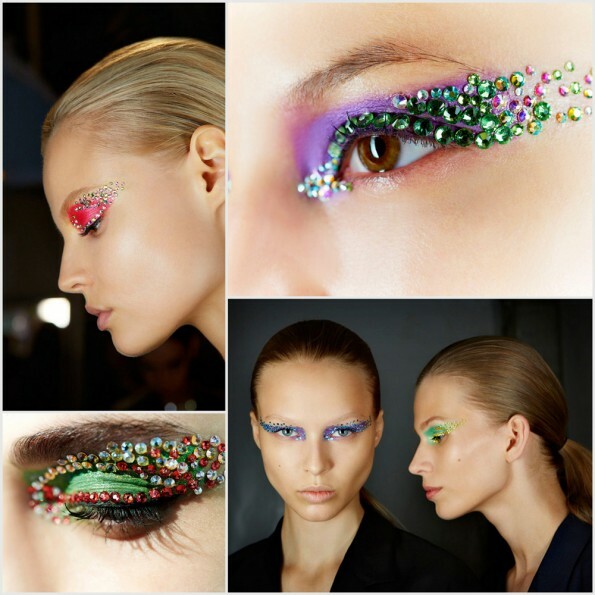 However, if falsies aren’t for you, then Christmas has to be all about sparkle. You could choose a simple slick of glittery eyeliner in place of everyday black – Too Faced Starry Eyed Liners are amazing. Or why not add an extra layer of sparkle over a classic black smoky eye – it looks gorgeous in these pictures. Stila Jewel Eye Shadow in Black Diamond would work a treat. This entry was posted on Friday, November 30th, 2012 at 10:26 am and is filed under Binky's Beauty Blog #BBB, Christmas, Get the Look, Make-up. You can follow any responses to this entry through the RSS 2.0 feed. You can skip to the end and leave a response. Pinging is currently not allowed.